April 28th, 2018 By: GGT Category: 2018/07 release, Figure News. 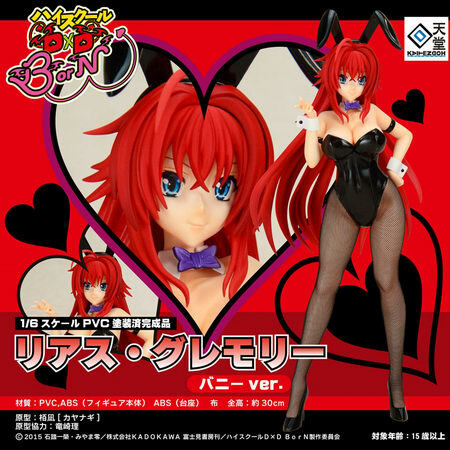 Kaitendoh is going to re-release the Rias Gremory ( リアス・グレモリー ) Bunny Ver. ( バニーver.) 1/6 PVC figure from the light novel/manga/anime “High School DxD” ( ハイスクールD×D ). Will be re-released in Juy 2018. Around 300mm tall, 15,000 yen.